Going My Way – Did You See That One? 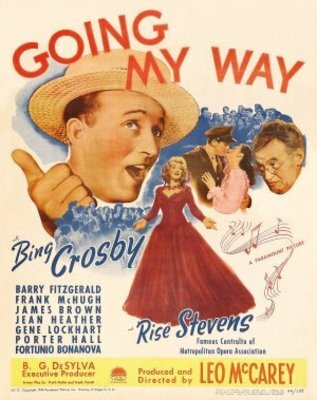 The Best Picture winner in 1944 was the classic film Going My Way starring Bing Crosby, Barry Fitzgerald, and Frank McHugh. This wildly successful film would go on to take home a total of seven Oscars. These awards would include Best Actor (Crosby) and Best Supporting Actor (Fitzgerald). The movie would also win for Best Director, Best Music, Best Screenplay, and Best Original Story. 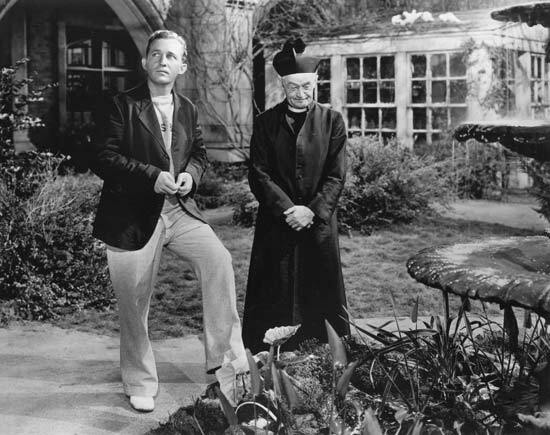 Director Leo McCarey would later direct a sequel with 1945’s The Bells of St. Mary’s. McCarey had a wonderful career, directing such classics as An Affair to Remember and Duck Soup. 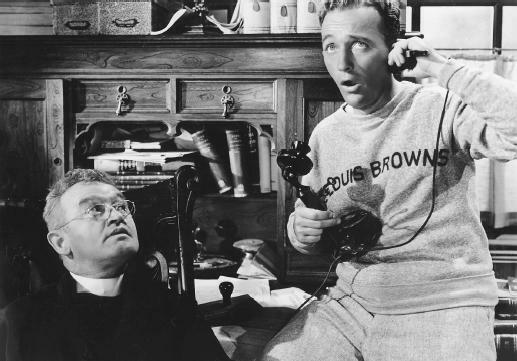 Bing Crosby was already famous when he took this role and won his first and only Oscar. In addition to the two films mentioned, Crosby had memorable roles in movies like White Christmas, Robin and the Seven Hoods, and The Country Girl. Despite his successful film career, Crosby’s greatest success came through his work as a recording artist. Co-star Barry Fitzgerald would win his only Oscar in this film as well. His filmography includes How Green Was My Valley and The Quiet Man. Fitzgerald also set Academy Awards standards when he was nominated for Best Actor and Best Supporting Actor for Going My Way. This was the first time this had occurred. After this the Academy changed the rules to prevent it from happening again. Frank McHugh had a long career in films. He had a role in the classic musical State Fair and the science fiction film Mighty Joe Young. He would make eleven movies with the legendary James Cagney, who also happened to be his close friend. As an employee of the Warner Studios he would work with many of their stars over a long career. He would also have a role for some time on The Bing Crosby Show. Youthful Father Chuck O’Malley (Crosby) has just been transferred to the parish at Saint Dominic’s. 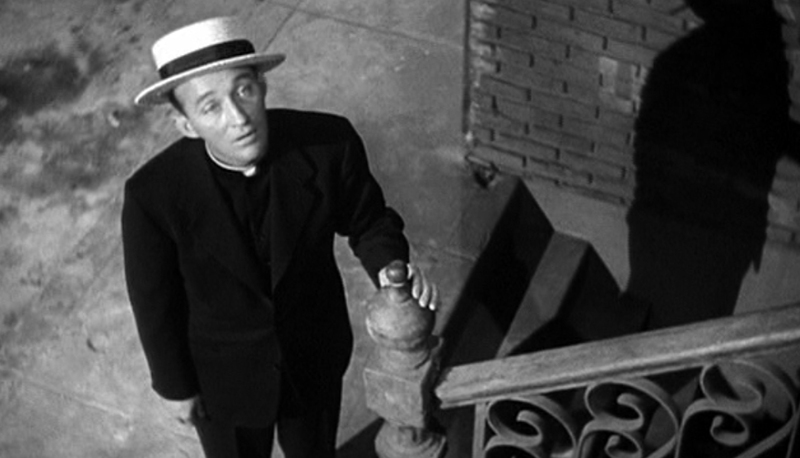 He clashes with aging Father Fitzgibbon (Fitzgerald) as he works to get the parish out of debt. His only confidant is his best friend and fellow priest, Father Timothy O’Dowd (McHugh). Along the way he does his best to help out the people who need it the most. From the local boys to the wandering young woman he finds himself doing all he can to bring people happiness. This film might be the definition of “feel-good” movie making. The plot is simple and the characters don;’t have much to hide. The dialogue is easy to follow and at times it’s even slightly predictable. All of this being said, this is a wonderful movie with a great message. The music throughout the film brings Crosby to his best and takes the story to a new level. In 1945 the Oscars had some tough competition from far more serious films. The list of Best Picture nominees includes Gaslight, Double Indemnity, Since You Went Away, and Wilson. Despite the competition this movie earned nine nominations and took home seven awards. I would highly recommend this movie for anyone. It’s a time machine to a time when Hollywood could make a movie like this and be successful. There is no scandal and the movie feels genuinely happy throughout. Take some time and see this Best Picture winner. I give this one 4.3 out of 5 stars. I don’t think this one has aged as well as some other films of its era, though I really like how Crosby’s character is a St. Louis Browns fan (possibly the worst baseball franchise of all time). I generally enjoy Leo McCarey’s films, though, especially The Awful Truth, Make Way for Tomorrow, and (especially) Duck Soup. This might be more dated than some, but it still is fun to watch. Pingback: Christmas Classics: Holiday Inn | Did You See That One?